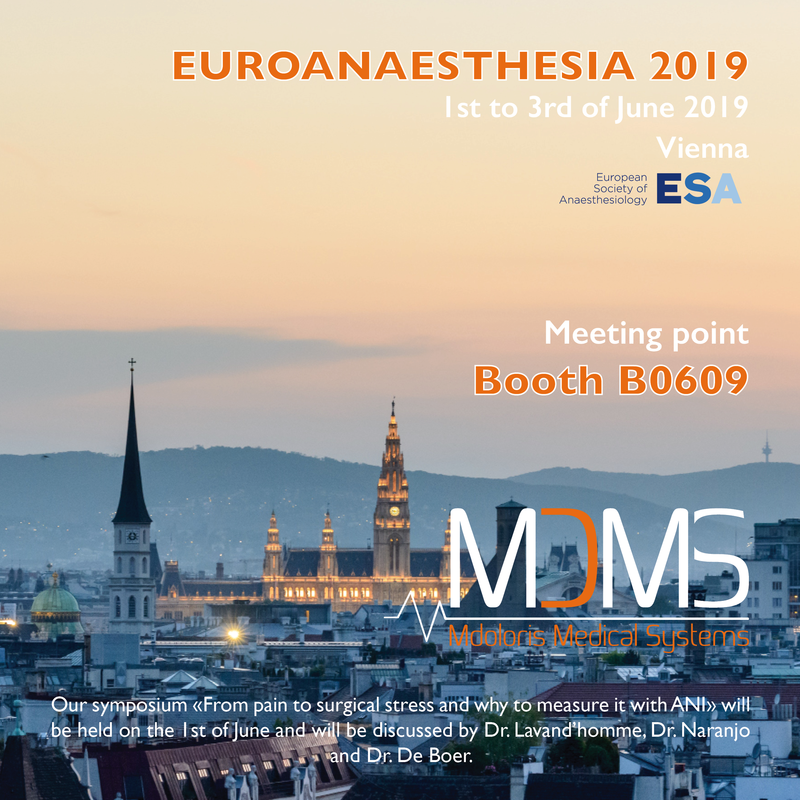 Mdoloris will be at Euroanaesthesia 2019, in Vienna, from the 1st to the 3rd of June 2019. You will be able to meet our team there at our booth n°B0609. 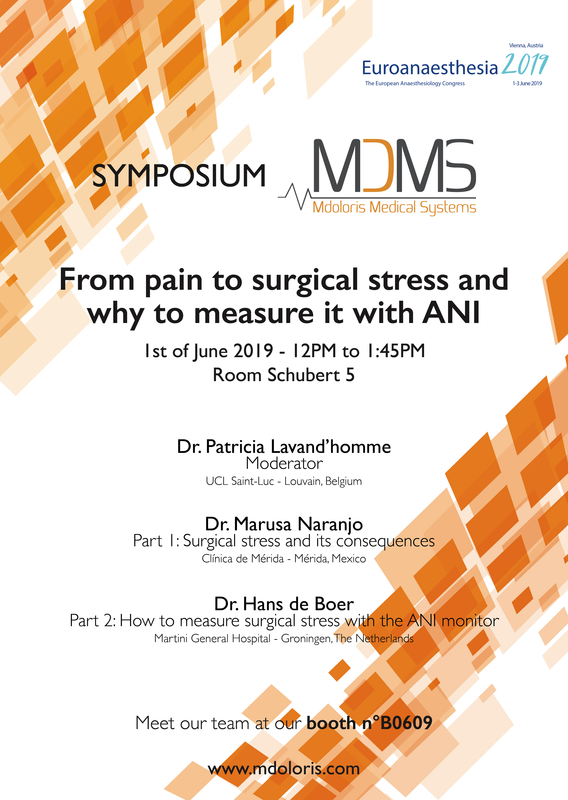 In addition to our booth, you will also be able to learn more about our technology and surgical stress thanks to our symposium “From pain to surgical stress and why to measure it with ANI”. This symposium will be held on the 1st of June from 12 to 1:45PM, in the Schubert 5 room. The 1st part will be presented by Dr. Marusa Naranjo, from Clínica de Mérida in Mexico, and will be about “Surgical stress and its consequences”. The 2nd part will explain “How to measure surgical stress with the ANI monitor” by Dr. Hans de Boer, from the Martini General Hospital in Groningen.